Hoover it up as you go!! That’s right – a professional grade set of dog clippers, that clean as you clip! The genius thing about these clippers is the fact that you can attach them to the hose of almost any vacuum because the included Adapters accommodate most basic vacuums. The Laube iVac Vacuum Clipper is light, compact and easily held and moved around. The Quick-disconnect, swivel vacuum tube attaches to the rear of the clipper providing obstruction-free working. The airflow keeps the blades cool and maintains the sharpness of the blade, all whilst keeping the clipper cool whilst in your hand. The vacuum system draws away fur/hair whilst cutting and it also removes parasites! The result is cleaner air for you and your dog(s). The ultimate in cleaner clipping! This set of clippers are also excellent for other animals that you may or may not have. 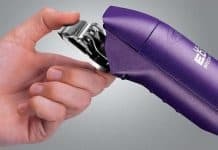 If you’re a professional groomer – these clippers are an absolute MUST! You can feel the power from the moment you turn these clippers on. The first thing that you’ll notice is the speed of the clipping. Other Clippers just aren’t as fast. This is due to the SPM (Strokes Per Minute) of the Laube Clippers – they operate between 4,000 and 10,000 SPM. Making the Laube clippers the most powerful and fastest brand of clippers available. You should always compare SPM’s on any clipper – especially if you’re a dog grooming professional. These clippers have an absolutely amazing grip. They’re easy to hold onto with push and grip points, helping to reduce aches, stress, carpel tunnel and repetitive motion issues for the user. They’re small but incredibly well made and sturdy, making the clipping of your pooches underbelly easy! The blades on a Laube clipper stay sharper up to 10 times longer (this is a claim made by Laube and unfortunately we are unable to quantify this). If the claim holds up to be true, the user stands to make a large saving on both sharpening and frustration! The patented Laube lever strokes elimates clipper blades jamming up with hair, and getting dull. The Laube patented lever moves the cut hair out of the way from the teeth and sweeps wider in the stroke motion. That means Laube clippers cut more hair per stroke. Fits all snap-on style blade brands. 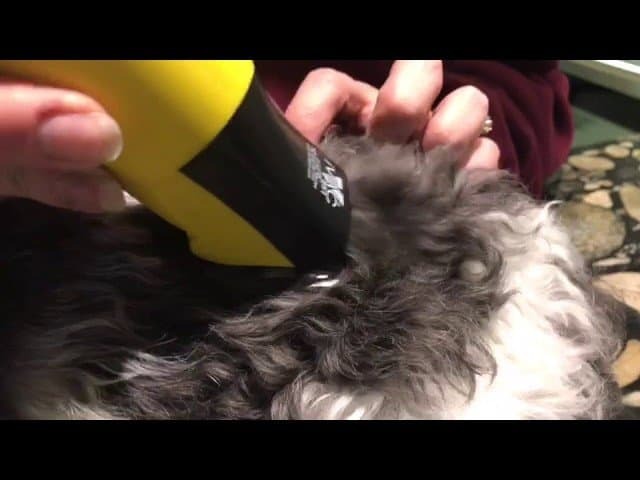 The Laube iVac Vacuum Clipper has a MUCH improved design over your traditional clipper and we'd recommend these clippers without hesitation!OK, they're pricey but they're durable and depending on how many dogs you have or how often you groom, these will pay for themselves within a couple of years.What's not to like? They groom, clip and clean up the mess in one go!! 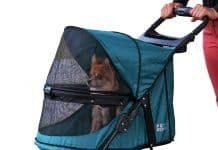 Best heated dog beds available in 2018! Best dog grooming baths | We’ve rounded up the top 5! Doggy Planet are canine enthusiasts! We love writing about dogs and bringing the world helpful guides, round ups and reviews! We want Doggy Planet to be your number one resource for all things canine! Doggy Planet © is a participant in the Amazon Services LLC Associates Program , an affiliate advertising program designed to provide a means for sites to earn advertising fees by advertising and linking to Amazon.com.